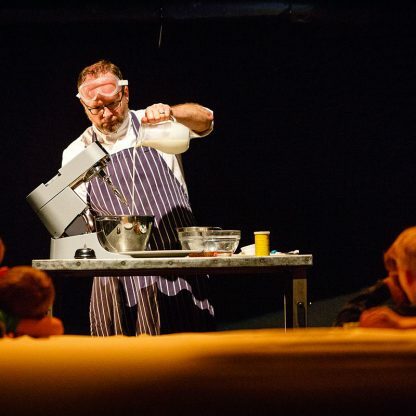 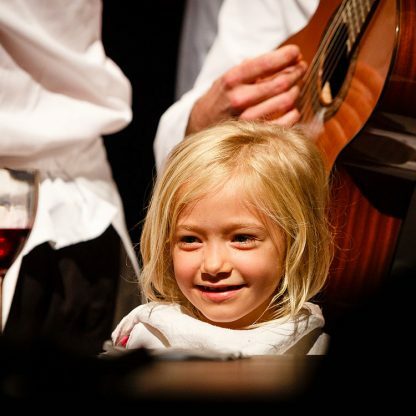 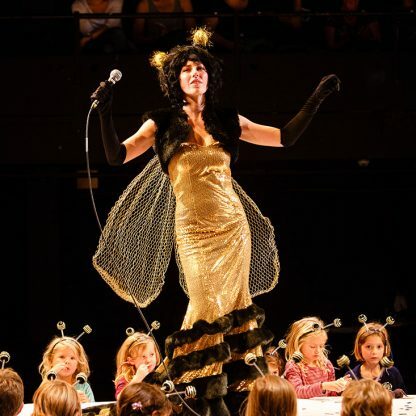 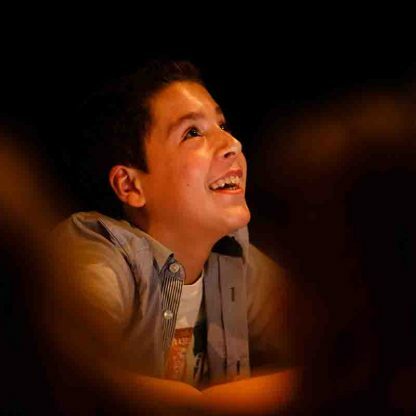 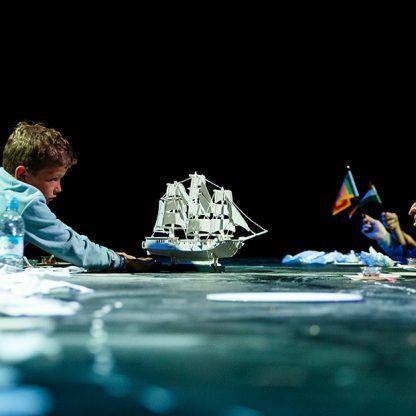 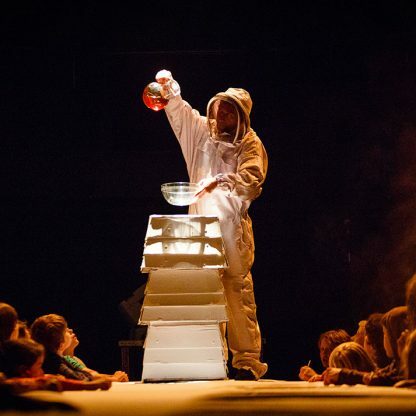 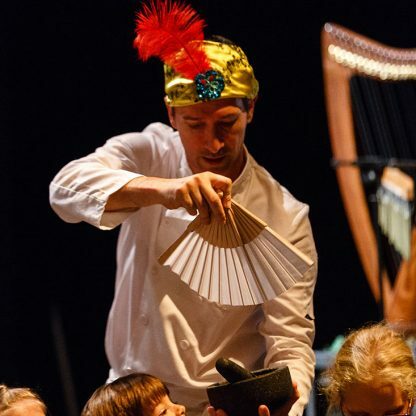 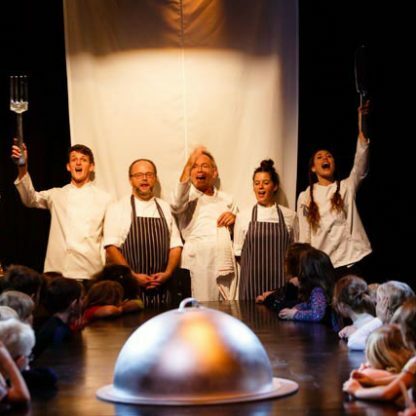 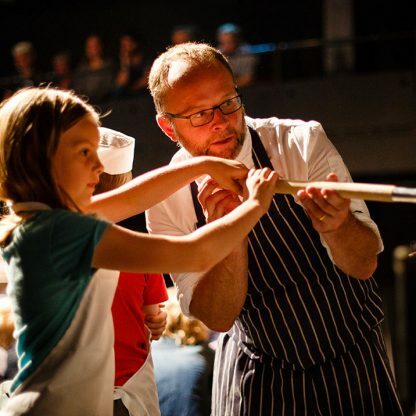 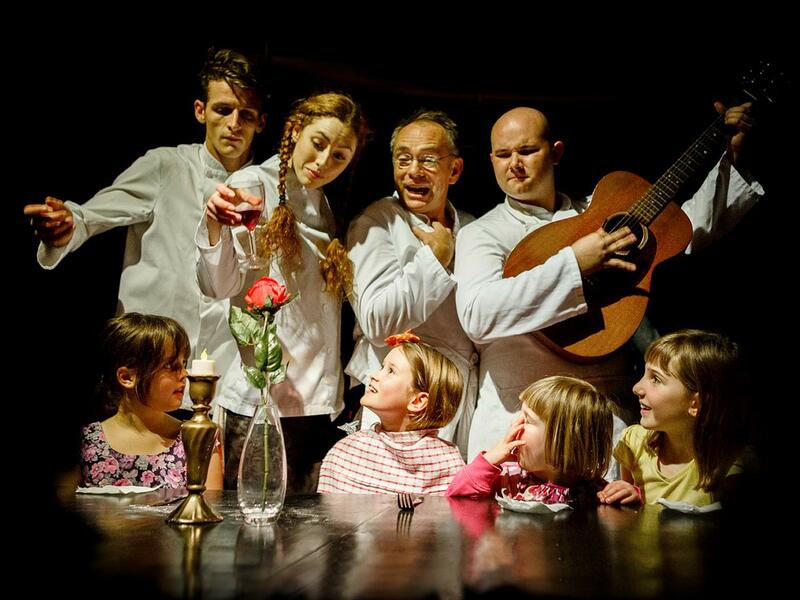 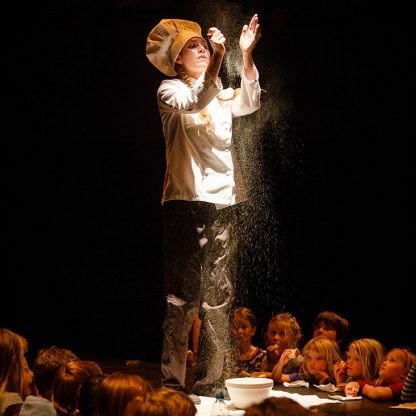 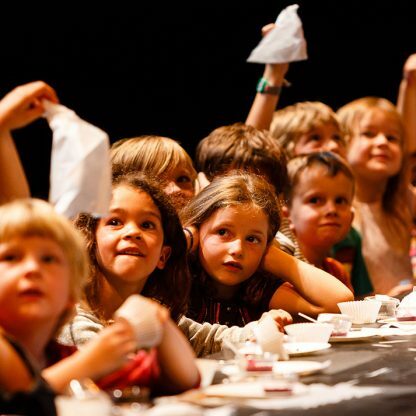 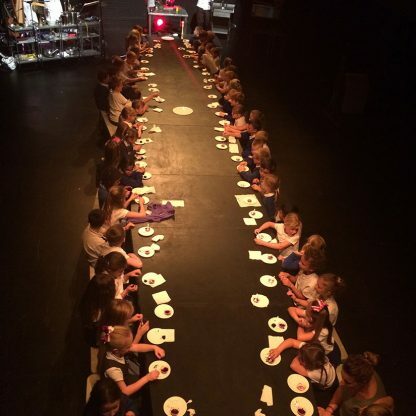 The Table Of Delights; is a participatory food-theatre show for families and schools; sixty children (or two school classes) sit around a giant ten metre table centre stage. 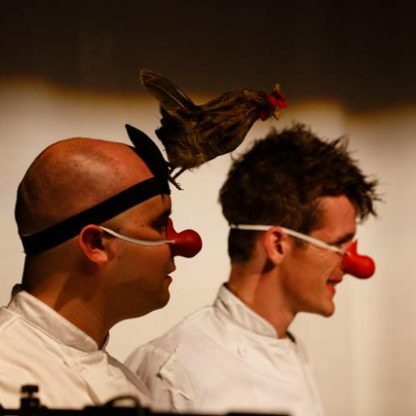 They listen to field to fork stories and original music as our chefs prepare tasting morsels in the spotlight. 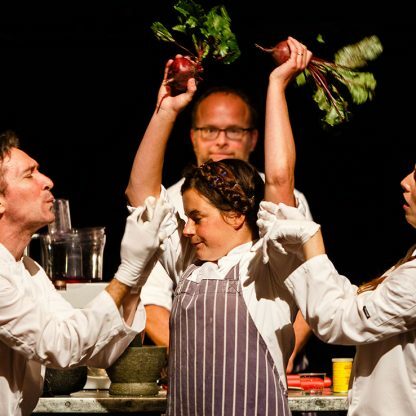 We have performed sell out shows at The Print Room London, Bristol Old Vic, The Bath Egg Theatre, and Yeo Valley HQ. 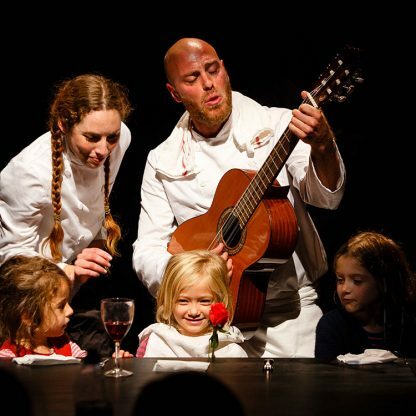 Table of Delights entertained Britain’s finest fooderati at BBC Food Connections, Bristol 2016 with a cabaret set. 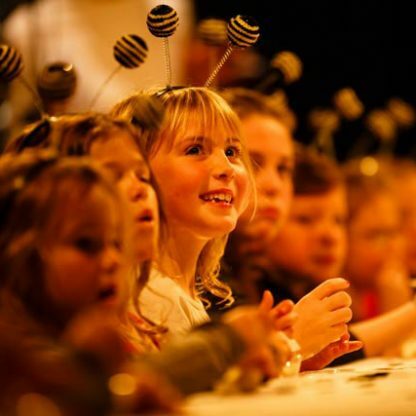 Many a well known chef was spotted eating honey ice cream in bee deeley boppers! 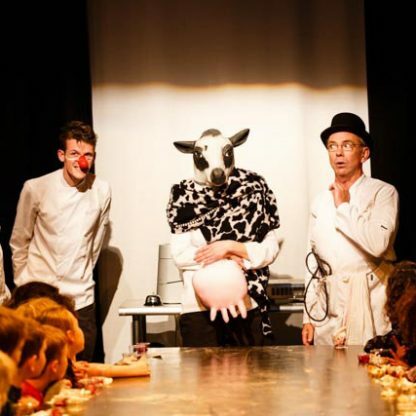 Barbara the cow had huge crowds moo-ing at Countryfile this summer in an outdoor tasting and singing extravaganza. 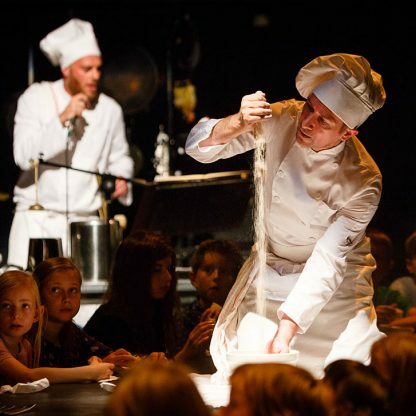 Our pedigree performers, musicians & chefs love mixing music, ingredients and more. 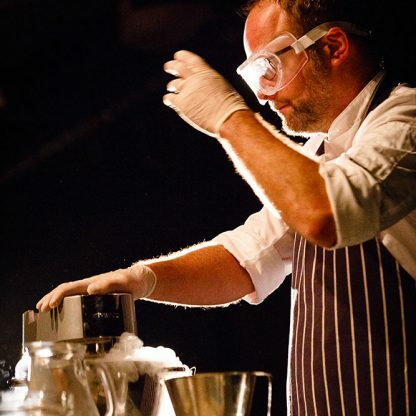 Contact us at hello@tableofdelights.com for any bespoke performance requirements. 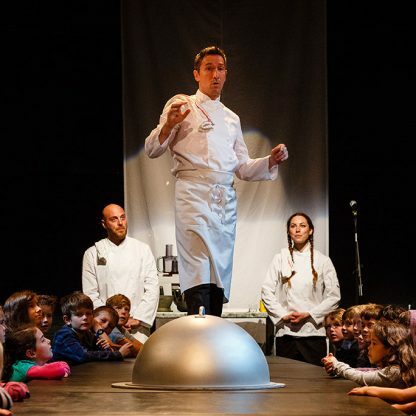 The theatre show will be back on the road in 2018. 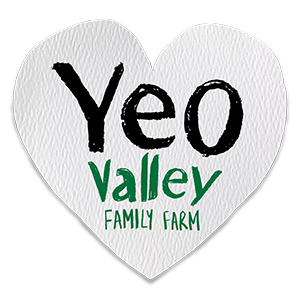 Keep an eye on our news page for further information. 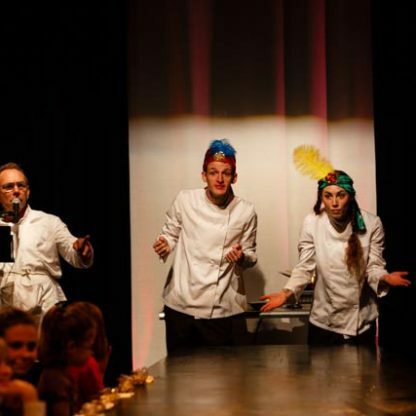 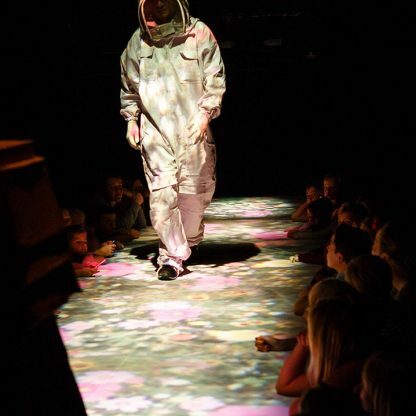 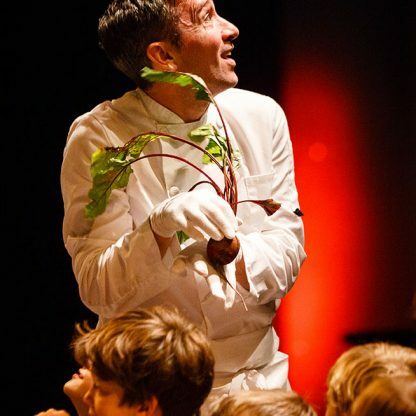 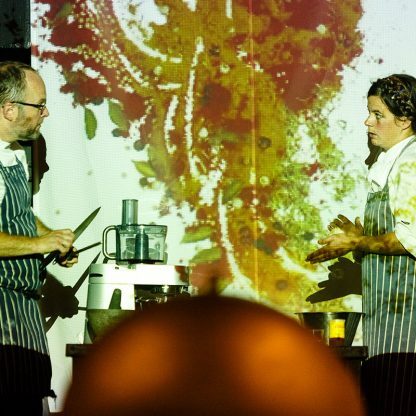 We are offering a unique franchise opportunity to Theatre in Education companies to take this trailblazing participatory food-theatre show into schools worldwide.